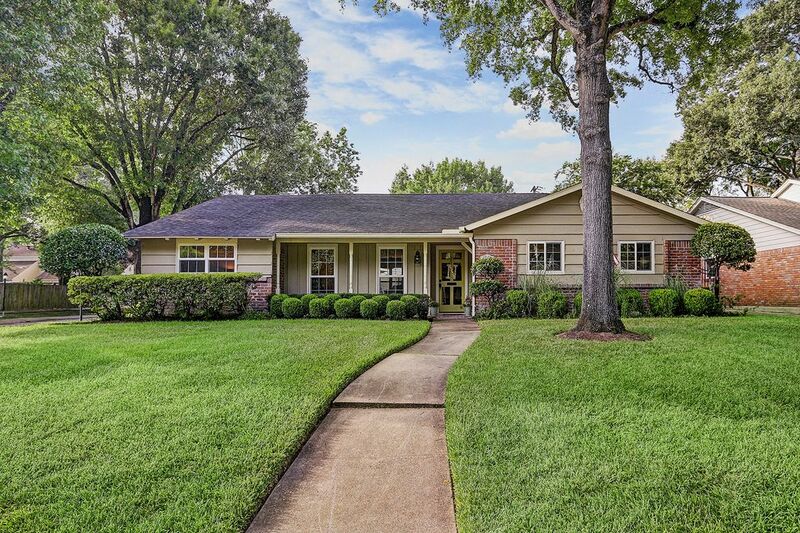 10050 Burgoyne Road, Houston, TX 77042 | Martha Turner Sotheby's International Realty, Inc. 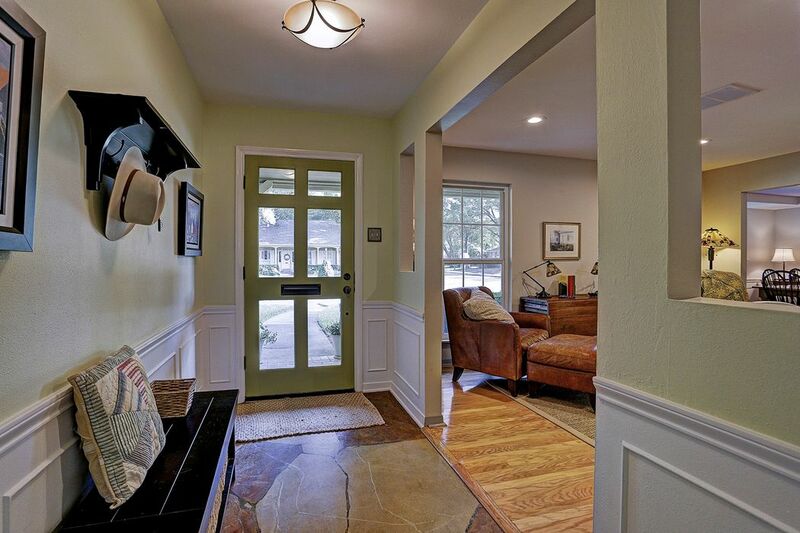 The light filled entry features a wood framed glass front door, wainscoting, unique tile flooring and is open to the living and dining rooms. 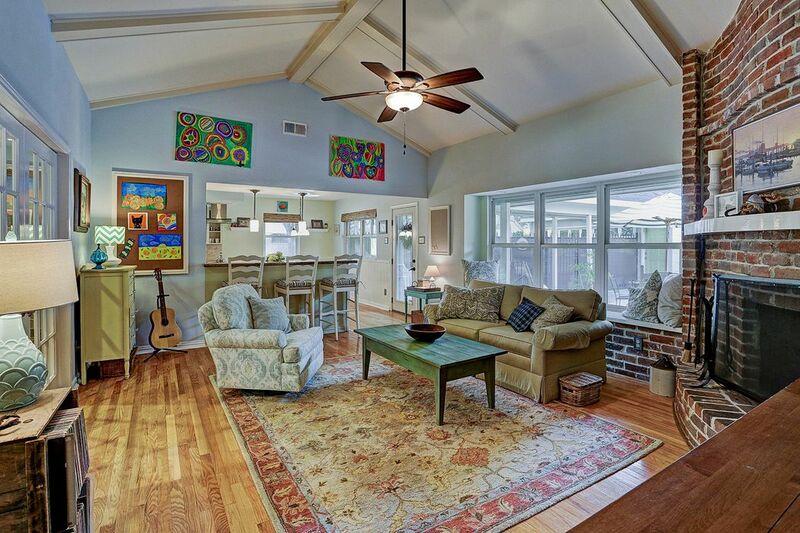 The LIVING ROOM-12X11-features recessed lighting, hardwood floors and abundant windows. Alternate view of the living room looking toward the front entry. 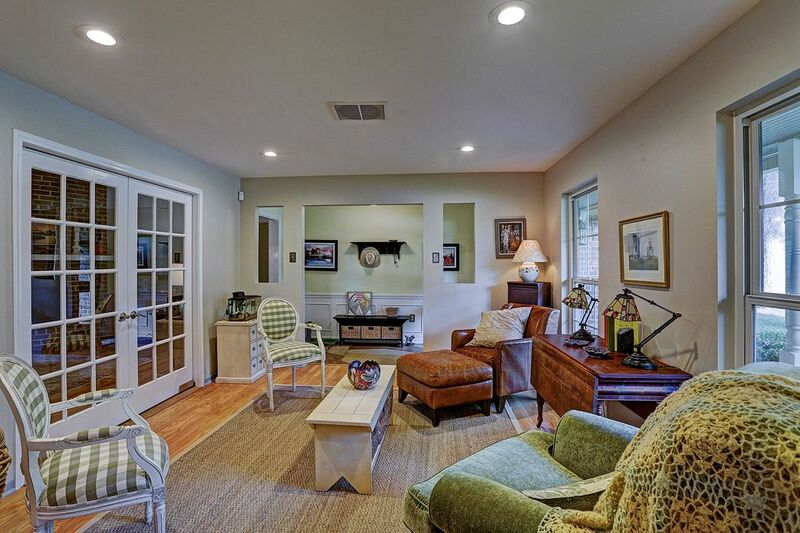 The current owners added the charming french doors in 2012 which open up into the family room/den providing an easy and open flow for entertaining. 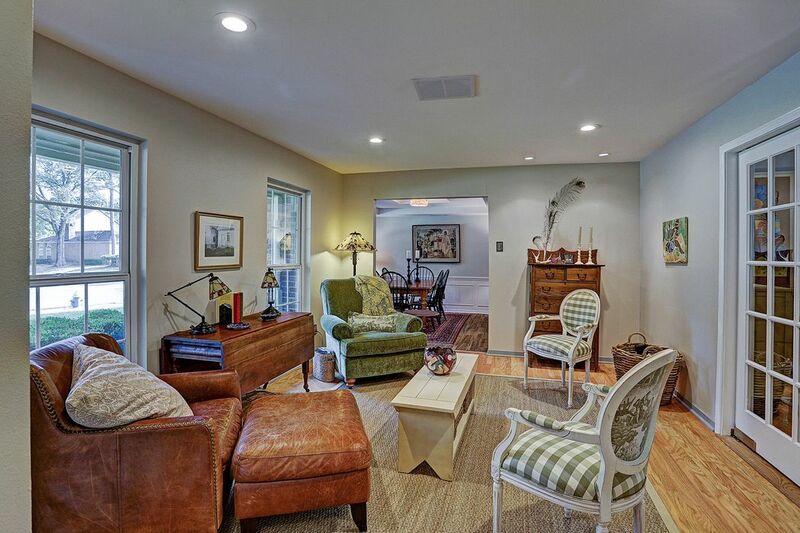 Additional view of the family room highlighting the charming fireplace and views of patio/pool. 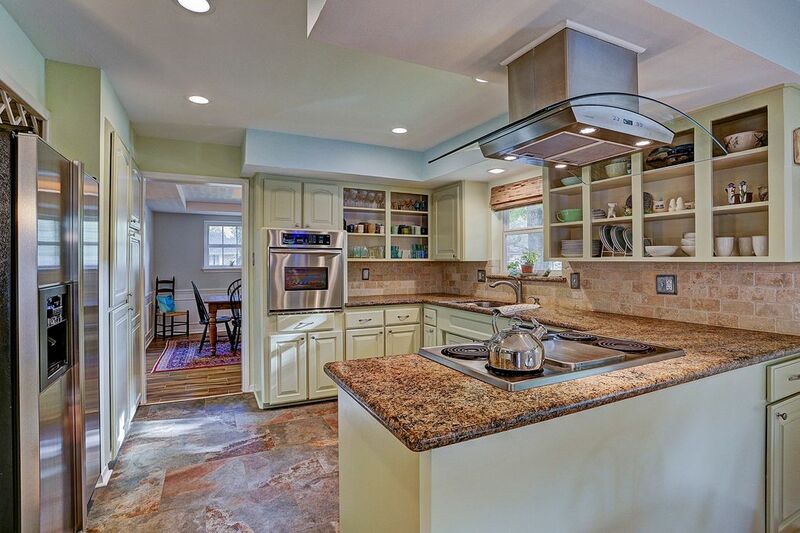 The updated KITCHEN-11X9-features recessed lighting, abundant cabinetry, granite countertops, SS appliances, electric cooktop and tile flooring. Alternate view of the kitchen looking toward the dining room. 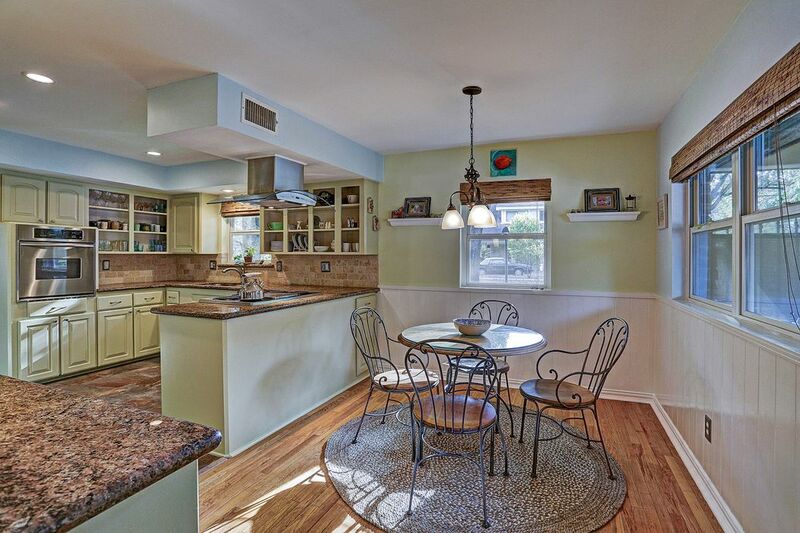 BREAKFAST ROOM-10X9-is adjacent to the kitchen and features abundant windows, pendant lamp and hardwood flooring. 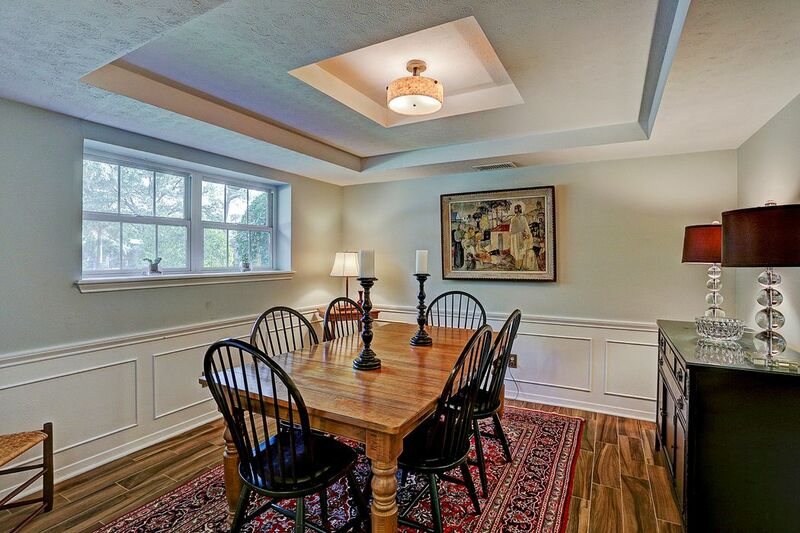 The elegant DINING ROOM-12X11-features a tray ceiling with designer light fixture, pretty windows, wainscoting and tile flooring. 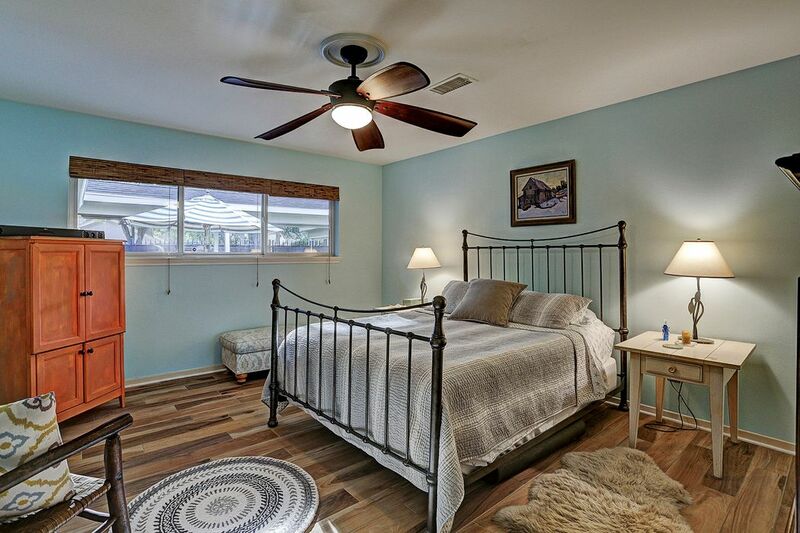 MASTER BEDROOM-15X13-featuring a ceiling fan with light, large window overlooking pool and patio, walk-in closet and tile flooring. 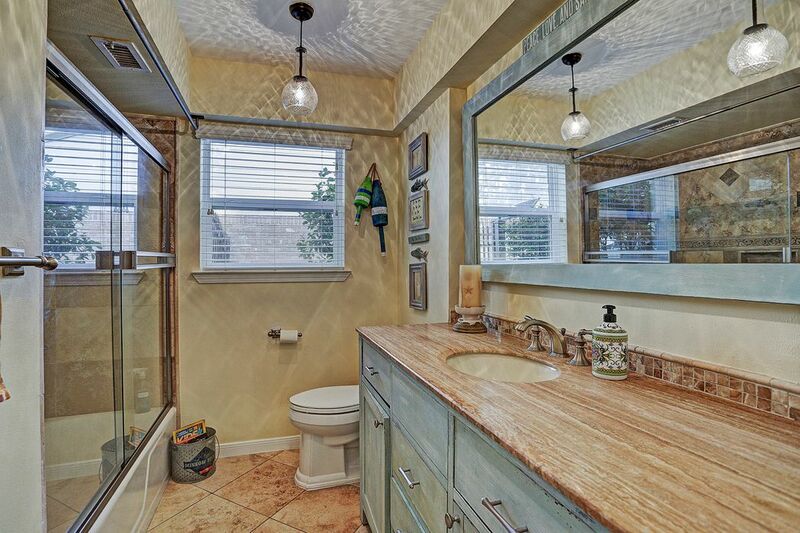 MASTER BATH-featuring designer lighting, wood blinds, granite countertop, dual sinks, separate vanity area, shower with tile surround and tile flooring. 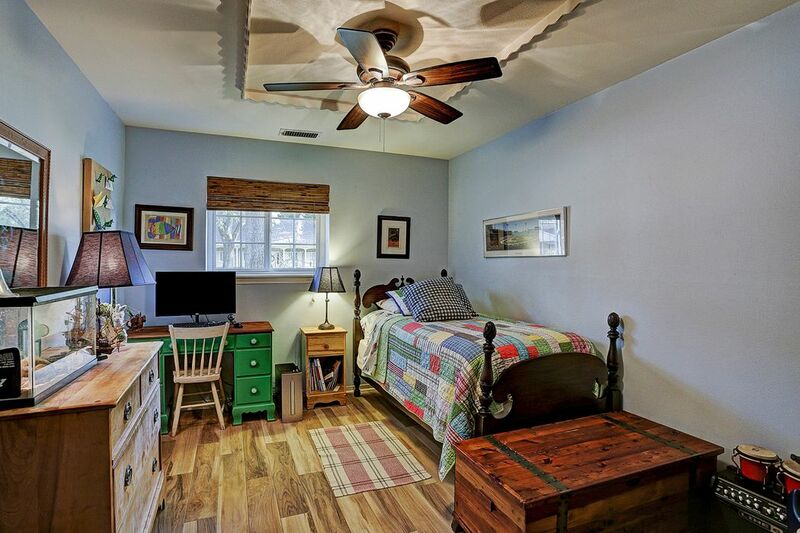 SECONDARY BEDROOM-13X10-featuring a ceiling fan with light, tile flooring and closet. 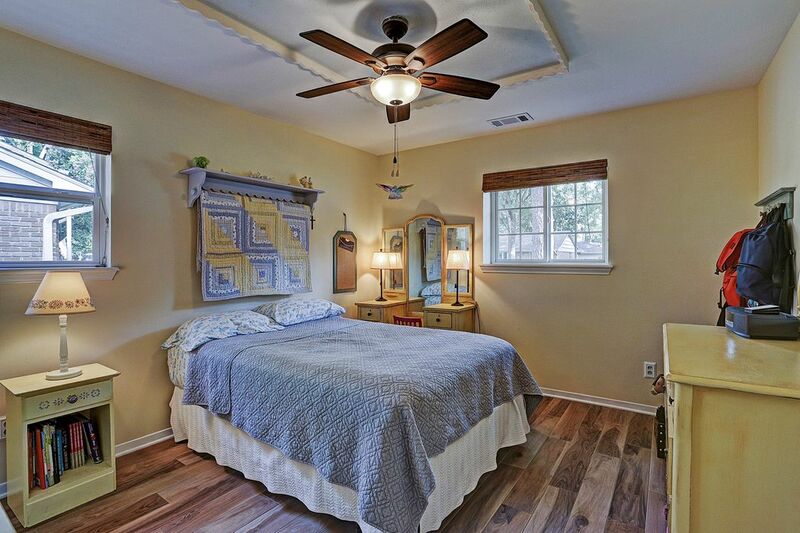 SECONDARY BEDROOM-13X11-featuring ceiling fan with light, pretty windows, closet and tile flooring. 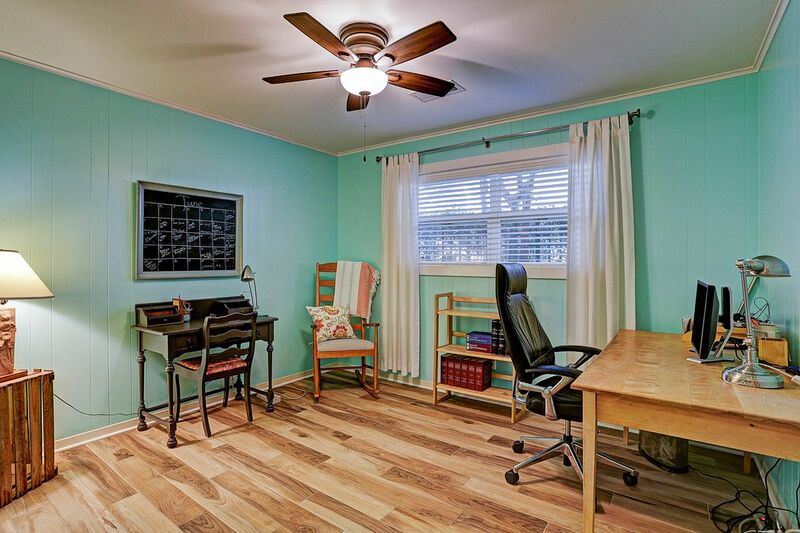 SECONDARY BEDROOM-12x10-is being used as an office by current owners and features a ceiling fan with light, crown molding, large window with wood blinds, a closet and tile flooring. 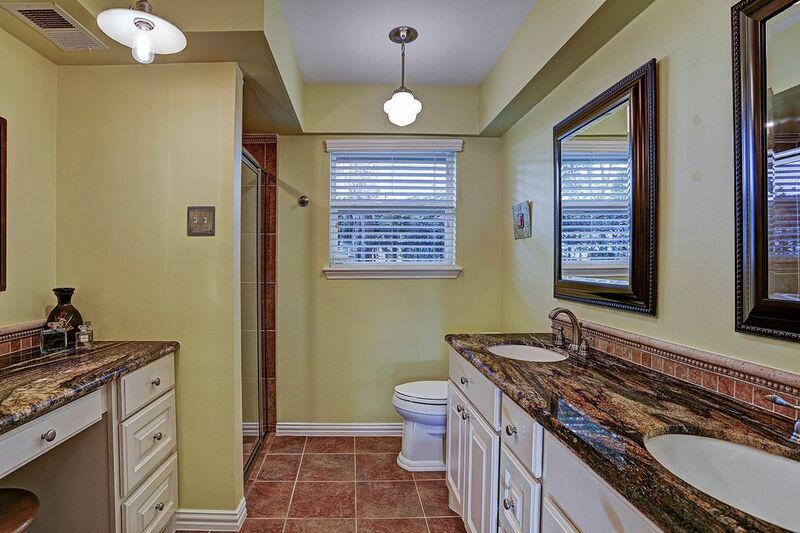 HALL BATH-featuring designer light fixtures, wood blinds, marble countertop, tub/shower combo and tile flooring. 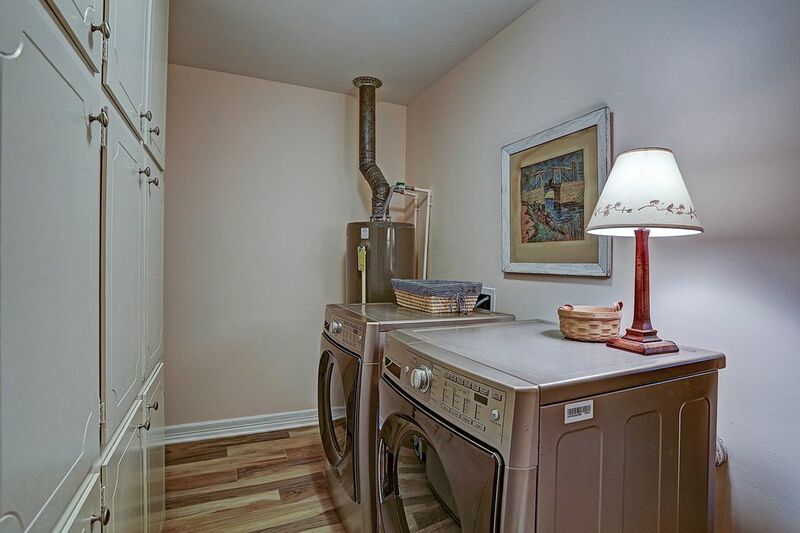 UTILITY ROOM-features abundant cabinetry, tile flooring and a convenient separate space (not shown) to leave shoes or towels when coming in from the pool. 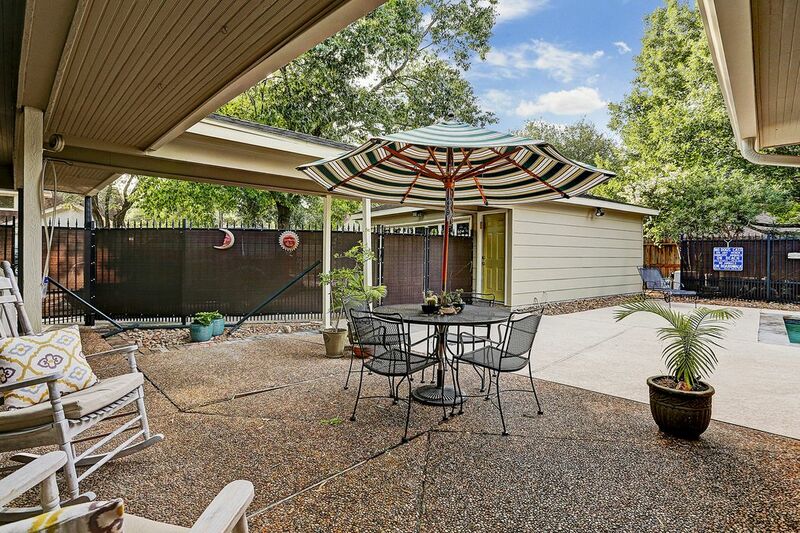 The partially covered patio has plenty of space for outdoor furniture and a grill! Note-wrought iron gate with privacy fence-2015. Additional view of the patio. The glass door conveniently opens to utility room. WOW! 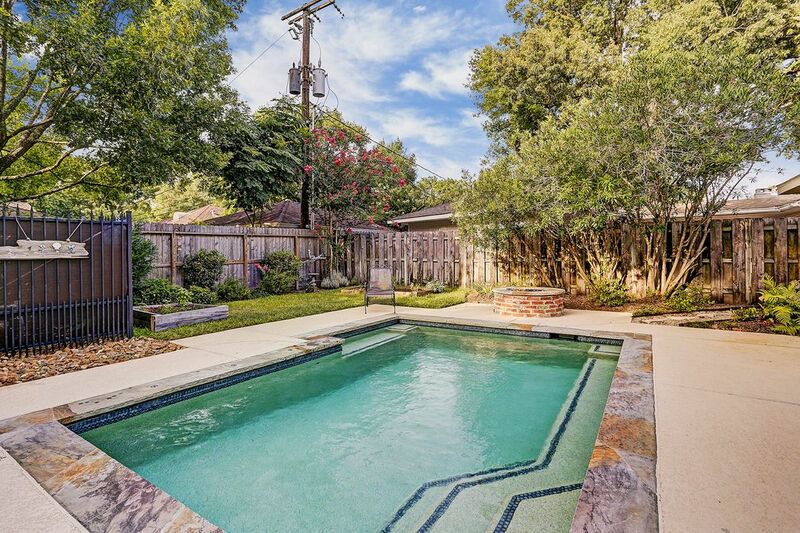 This clean lined modern heated pool was added by the current owners in 2015. What a great place for entertaining all your friends and family! 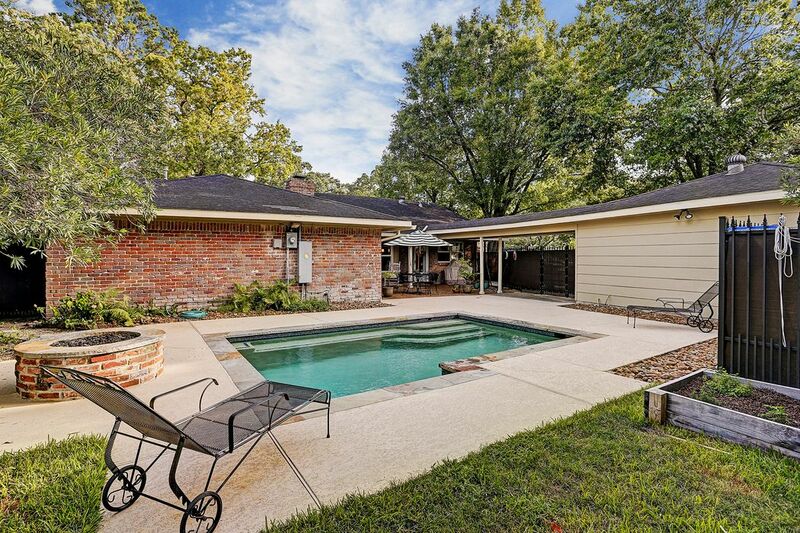 Another look at the pool, fire pit and fully fenced backyard with enough green space for kids and pets to enjoy! 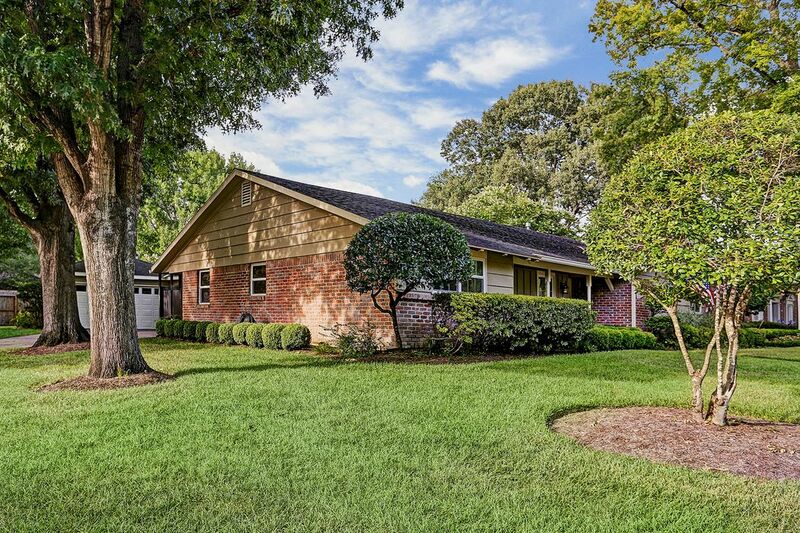 $524,900 4 Bedrooms2 Full Baths2,305 sq. 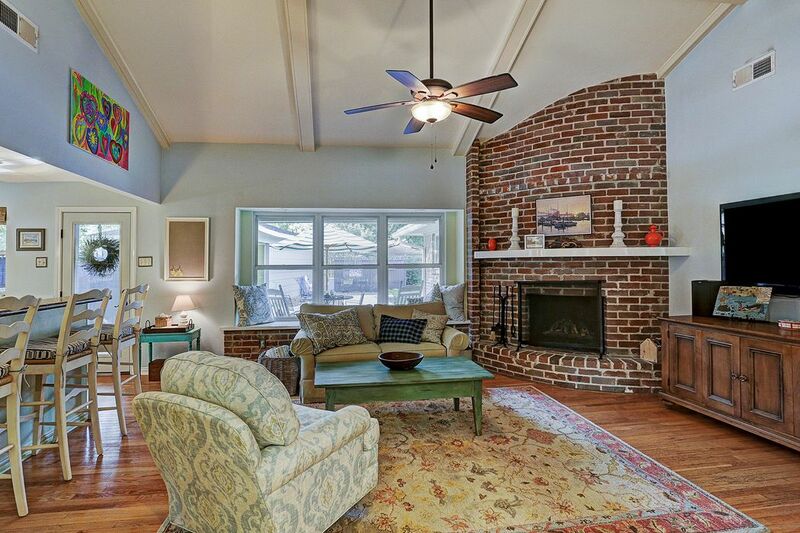 ft.
A lovely home nestled on a great street in desirable Briargrove Park. 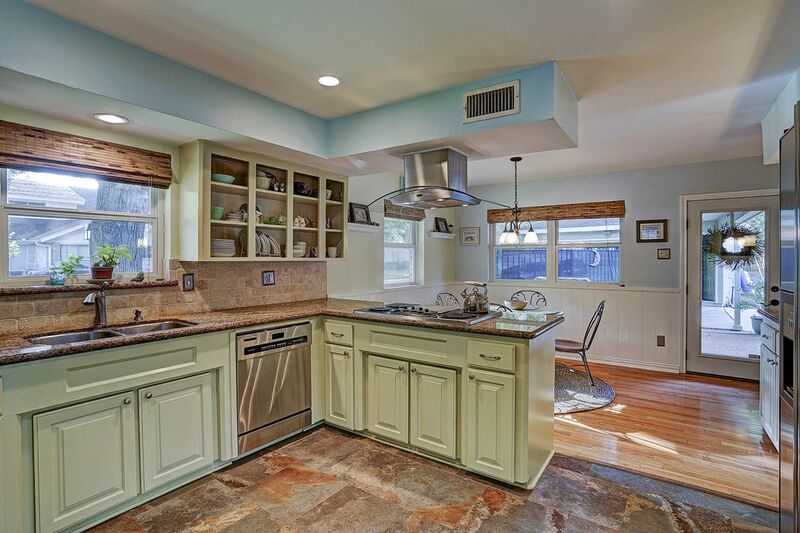 This four-bedroom home has great curb appeal and a multitude of significant updates. Amenities include recessed lighting, granite kitchen with stainless appliances, breakfast bar to spacious family room with vaulted ceiling, converted gas log fireplace plus a wall of windows overlooking the patio and sparkling pool (2015). Additional recent updates: exterior paint, replaced garage siding, ceramic tile flooring, buried electric, privacy fence, Pella windows throughout, HVAC, electric box and more. Walk to pool, tennis and playground. 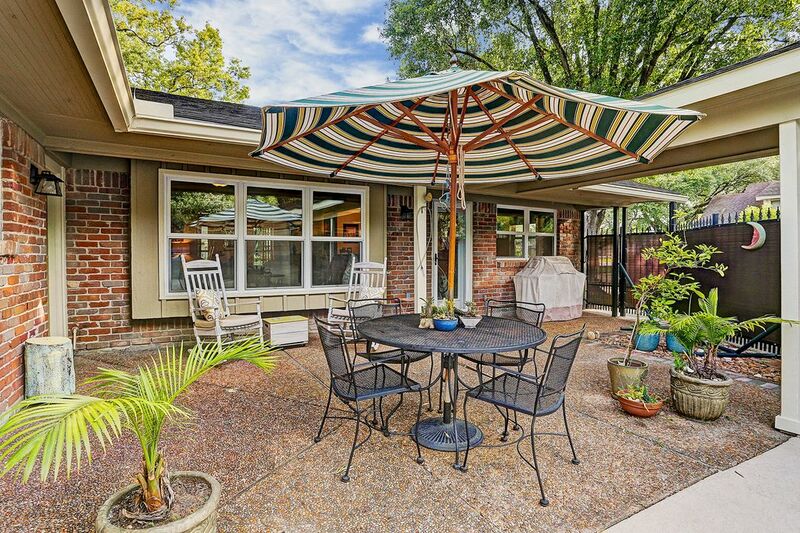 Close to great shopping, restaurants and major freeways.